The latest update, iOS 11has brought a lot of improvements and quality of life changes for users. One of these innovations was the usage of the image codec called HEIF which is similar to HEVC for videos. What the codec does is it reduces the memory images take up in your device. However, since this feature is so new it is causing problems with compatibility for many users. Macs or those computers running Apple software have built in support for HEIF. The issue arises with Windows users; it is impossible to open a HEIF picture or HEVC video on a PC because of the fact that this format simply isn’t supported. It’s easy to see why this would be a problem because a sizeable number of iPhone users own a Windows PC. This is the simplest way to get rid of the problem, all you have to do is disable the latest codec. Instead of being stored in HEIF/HEVC, photos and videos will be stored as JPEG/H.264 and take up more space as a result. Go to Settings -> Camera -> Formats. Here there will be two options to choose from called ‘High Efficiency’ and ‘Most Compatible’. Tap ‘Most Compatible’ and there will be no problem. However, there is a catch, there will be no problem unless you already have photos and videos with HEIF mode on. To solve this issue take a look at the next solution. There is an easy way to convert photos from the iOS 11 codec to more compatible versions. 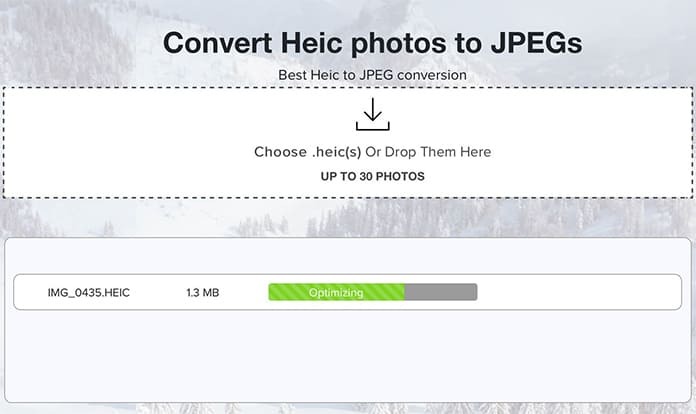 This converter is called ‘Convert HEIC Photos to JPEGs’ and it’s a simple process to convert your desired photos. Videos is another matter altogether; ‘Any-Video-Converter’ is an option that changes HEVC videos to something that your PC can open. However, the quality of the resulting videos isn’t the same as the original thing. iMazing HEIC Converter is a tool that will convert videos with no quality cost. 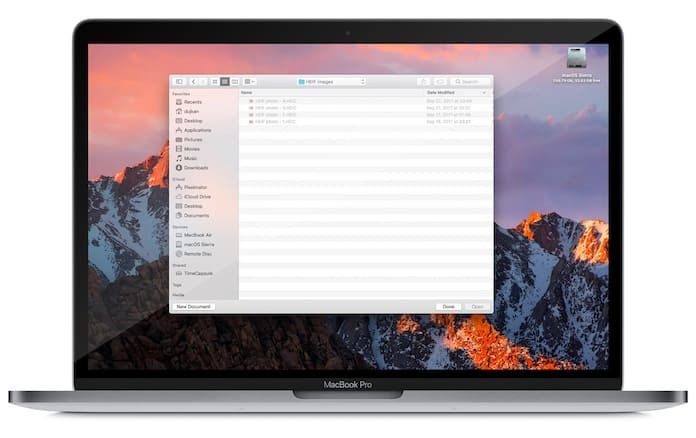 It’s a free of charge and you can convert HEIC files to JPG or PNG very easily and quickly. It’s up to you to see if the tradeoff is worth it. 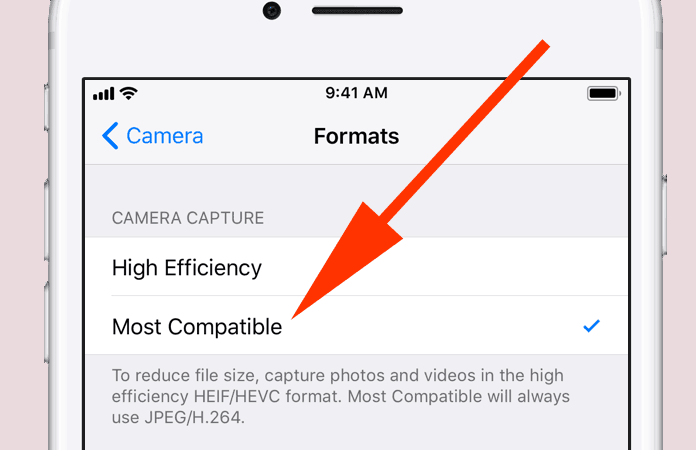 The Mac OS supports HEIF/HEVC but there is a loophole that exists, at least right now, when you transfer a file from your iPhone. 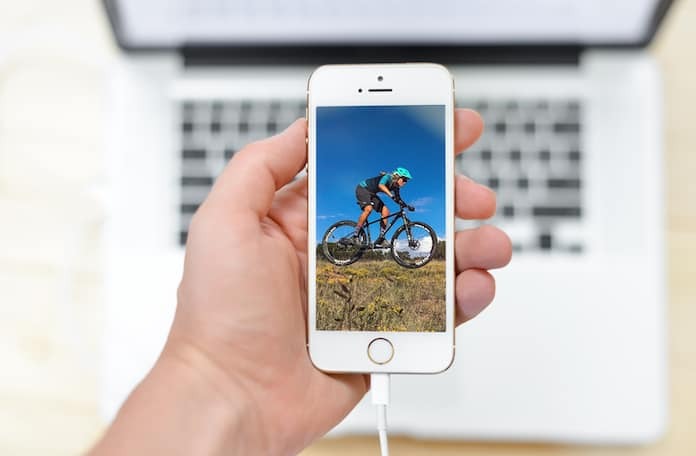 Upon AirDropping a file from your mobile device, the Mac converts it to a normal MOV type file with H.264 encoding. In other words you get a file that Windows can easily play. All you need to do is find a friend or family member who can help you out. Happy hunting!